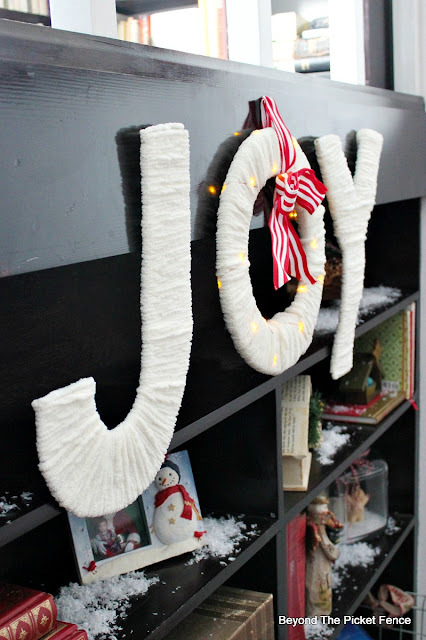 This one started with a wood wreath that I picked up at the dollar spot at Target, a set of battery operated twinkle lights (also from Target), and a skein of fuzzy, chenille yarn from Michaels. 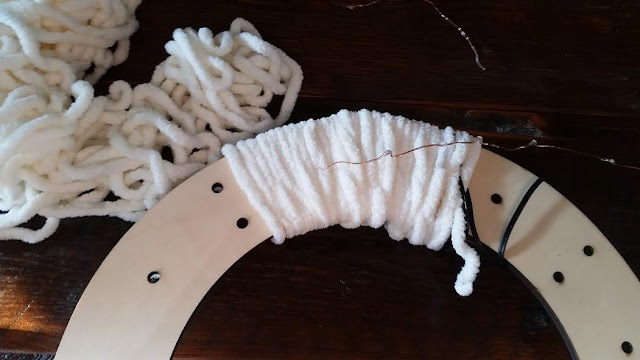 I tied the yarn to the wood wreath and started wrapping it around the wreath and the battery pack. Wrapping yarn takes longer than one might think. 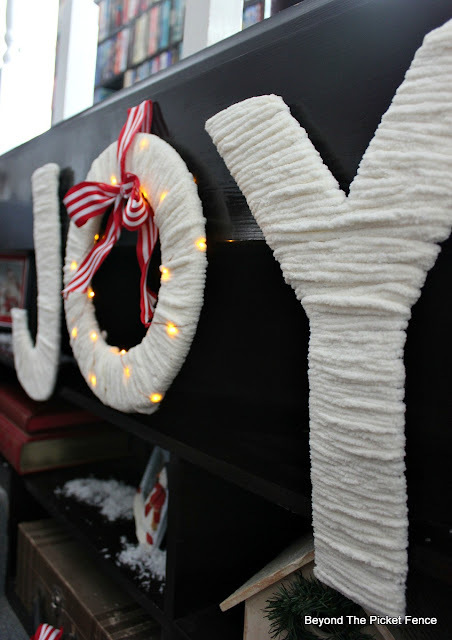 I thought I was going to poke the little lights through the holes on the wreath, but I love copper so I decided to leave the wire out and wrap it around the wreath afterwards. I did have to pull out a bunch of the yarn and cut it because the skein was too big to fit through the wreath. 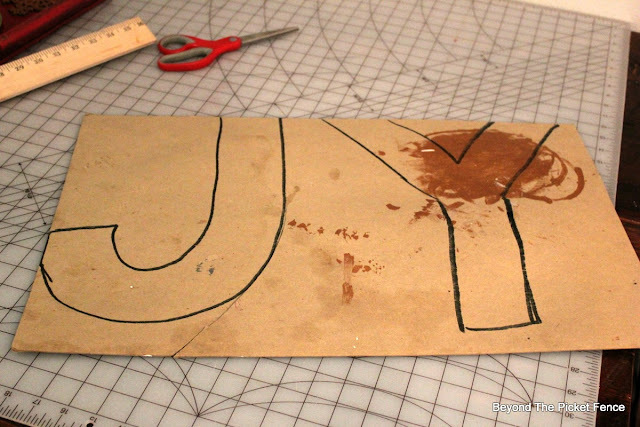 I then sketched out a J and a Y on fairly thick cardboard (that I had previously used as a painting mat) and cut them out. 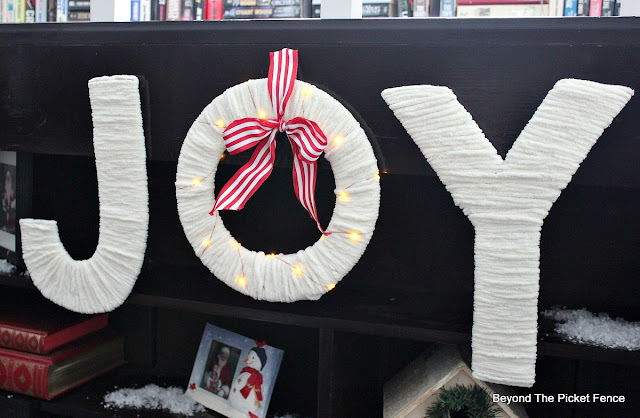 I purposely made them a little better then the wreath or O.
I hot glued the yarn to them a started wrapping. The Y was a bit of a challenge. I started from the bottom. After wrapping up one side of the Y, I cut the yarn and then started at the middle again and wrapped up the other side. They add some lightness and pop against the dark shelves. 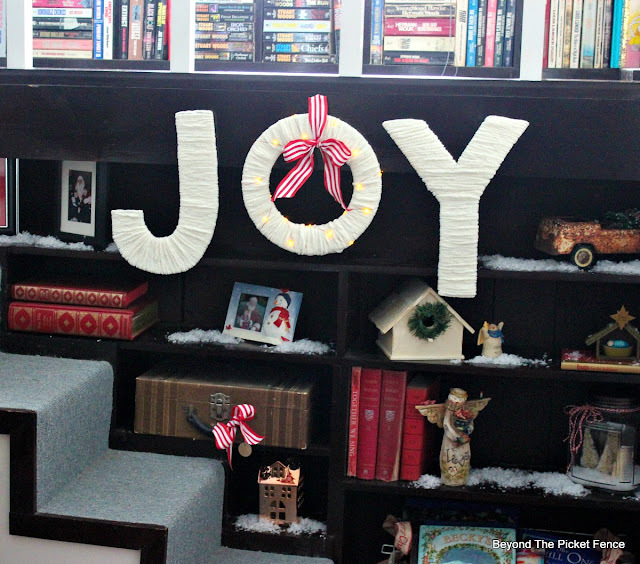 Great idea - it appears JOY is the word of the season - I'm seeing it everywhere. Love what you did. 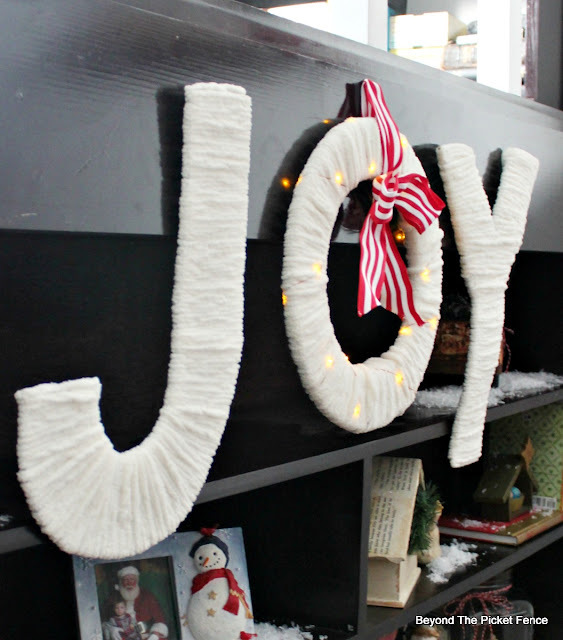 Love the yard wrapping makes the letters appear like they're wrapped in a sweater. Yes, it is a popular word this year. 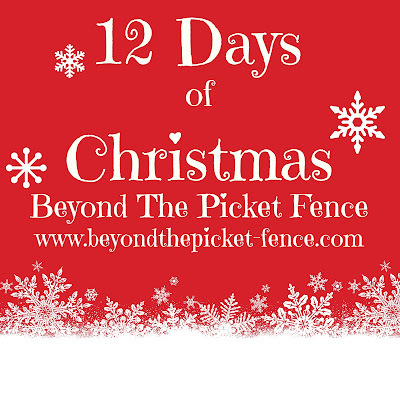 I have always loved it and it is my daughter's middle name. I love this fuzzy yarn, wish I knew how to knit!